The Latin Patriarchate of Jerusalem warned of "serious consequences" from a new law that allows the government to seize private Palestinian lands where unauthorized Israeli settlements have been built. "Such a law undermines the two-state solution, further eliminating hopes of peace," the patriarchate said in a Feb. 8 statement. "The Latin Patriarchate strongly condemns this unjust and unilateral law that allows the de facto annexation of Palestinian private land for the benefit of Israeli settlements." "Strongly concerned about the future of peace and justice in the Holy Land, the Latin Patriarchate calls on leaders to take decisive decisions in favor of peace, justice and dignity for all," the statement said. The Israeli Knesset passed the law on Feb. 6. It will affect settlements or outposts built in "good faith" or on instructions of the government and will deem those lands as government property. The legislation was quickly passed in the wake of the evacuation of the illegal outpost of Amona in the West Bank. The Feb. 1-2 evacuation took two days and was first ordered by the Israeli Supreme Court in 2014, but repeatedly had been pushed back because of legal appeals, until a final deadline of Feb. 8 was set in December. The outpost consisted of mobile homes and log cabins and was built on privately owned Palestinian land. Some settlers had lived on the land for 20 years. The outpost's buildings were either removed whole or demolished. It is unclear whether the Palestinian owners will be permitted to return to farm there because the land abuts another Jewish settlement. Prime Minister Benjamin Netanyahu has promised to found a new settlement for the Amona evacuees on nearby land. The Ha'aretz newspaper reported that a group of Palestinian civil and human rights organizations filed an appeal against the new law with the Supreme Court. U.S. and European church leaders have spoken out against the settlements. The chairman of the U.S. bishops' Committee on International Justice and Peace told U.S. Secretary of State Rex Tillerson that the settlements were an obstacle to peace. 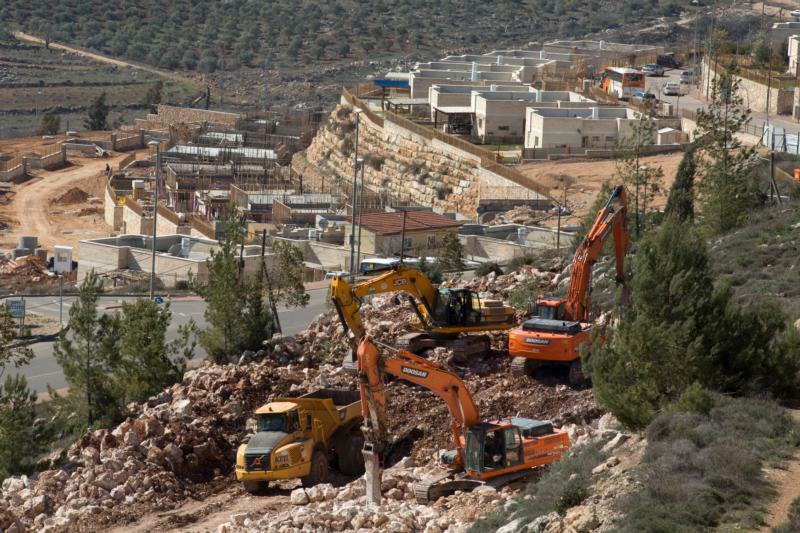 "Settlement expansion on occupied Palestinian lands undermines a two-state solution, destroying the homes and the livelihoods of Palestinians as well as the long-term security and future of Israelis," Bishop Oscar Cantu of Las Cruces, New Mexico, wrote on Feb. 1. Bishop Cantu also reminded Tillerson that 2017 marked 50 years of "a crippling occupation" by Israel of the West Bank, East Jerusalem and Gaza. Bishops from the U.S., Canada and Europe who participated in the Holy Land Coordination Jan. 14-19 said the half-century of occupation "demands action" and expressed opposition to settlement construction. "This is a scandal to which we must never become accustomed," said the group of 12 prelates, including Bishop Cantu, after their visit. "This de facto annexation of land not only undermines the rights of Palestinians in areas such as Hebron and East Jerusalem but, as the U.N. recently recognized, also imperils the chance of peace," the statement said.